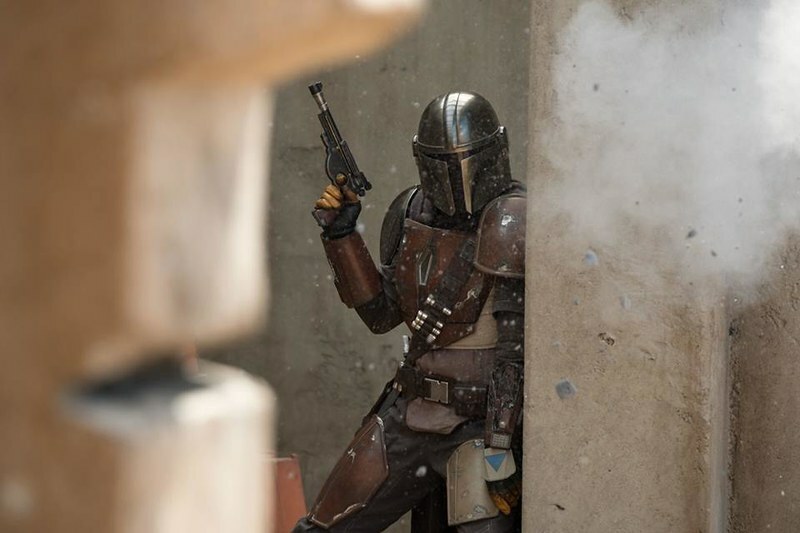 The Mandalorian is the first ever live action Star Wars TV show, which will aim to capture Disney a slice of the premium small screen content pie which has proven to be so lucrative over the past few years. While not a huge amount of information is known about this television expedition into the series set a long time ago, in a galaxy far far away, the information we do have points to something pretty exciting that could give Game of Thrones, Westworld or the upcoming Lord of the Rings series a run for their money. With a rumoured budget of $10 million per episode (yes, you are reading that correctly) Disney are really going all in. Either way, we’re going to be in for a treat. When is Star Wars: The Mandalorian coming out? The first episode of The Mandalorian will debut at the same time as new streaming service Disney+, arriving on 12 November in the US. Presumably the following episodes will air weekly after the premiere, though that hasn't been confirmed for sure. Presumably the company is hoping the series will help build up even more hype for December's film, The Rise of Skywalker. In the US, the show will be exclusive to Disney+, but we don't yet know the situation for the UK. It could appear on the current streaming service DisneyLife, or DisneyLife might become Disney+, or (less likely) the show might just appear on another channel or streaming service entirely. It'll be the first live action Star Wars show, but not the only one. The company is also working on a Rogue One spin-off series starring Diego Luna and Alan Tudyk, but that won't arrive until 2020. There are expected to be ten episodes in the first season - with that rumoured $10 million budget adding up to a whopping total of $100 million. Nope, not yet - or at least not for us. Disney showed off the first trailer for the show at its official Star Wars Celebration event in April 2019, but kept the trailer strictly offline, so we're still waiting for an official version to hit the web. After months of rumours, Lucasfilm finally announce the show's official cast in December 2018. Playing the lead role is Pedro Pascal, best known as Prince Oberyn in Game of Thrones and Javier Pena in Narcos, and set to star in the upcoming Wonder Woman 1984. Pascal will be joined by former MMA star Gina Carano, who's also appeared in the likes of Fast & Furious 6 and Deadpool, along with legendary character actor Nick Nolte, acclaimed actor/director Werner Herzog, the actual Apollo Creed from Rocky (i.e. Carl Weathers), Breaking Bad’s Giancarlo Esposito, Supernatural’s Emily Swallow, and American Gods’ Omid Abtahi. Jon Favreau, who's a dab hand at both producing and directing and brought us Iron Man and The Jungle Book, is the showrunner and writer for the series, though we don't know yet just how hands-on he'll be when it comes to directing it. He certainly won't be directing every episode, as Lucasfilm has announced a few of the other directors who'll be stepping in. The premiere will be directed by Dave Filoni, making his live action debut after years on the animated side of the Star Wars universe, in charge of series including Clone Wars, Rebels, and the newest animated series, Resistance. He won't be alone though: other episode directors include TV veteran Deborah Chow (of multiple shows including Jessica Jones and Better Call Saul), Rick Famuyiwa (Dope), actor Bryce Dallas Howard (making her directorial debut, other than a few short films) and none other than Taika Waititi (who brought us the bonkers and brilliant Thor: Ragnarok). What will The Mandalorian be about? After a lengthy period of radio silence and persistent rumours, Favreau announced the show's name and synopsis in October 2018 - and conveniently, it matches up pretty nicely to what we'd heard already. The show is said to take place seven years after Return of the Jedi, so the characters from the original trilogy will be in their prime - though with the issues around casting we'd be surprised if any of them crop up in person, with the possible exception of the likes of the droids and Chewbacca. In case you don't recognise the name, 'The Mandalorian' refers to the planet Mandalore, original home of the bounty hunter Jango Fett and his clone/son Boba Fett. In the Star Wars canon the Mandalorians are a pretty militaristic race whose soldiers wear the Fetts' iconic armour, so expect the show to be influenced by Boba's popularity. Funnily enough, Favreau already has a connection to Mandalore: he voiced a Mandalorian called Pre Viszla in the cartoon The Clone Wars, a rebel who tried to overthrow the planet's government. That character died during the show though, so don't expect a return, though since a few Mandalorians have popped up between The Clone Wars and Rebels, we wouldn't be surprised to see some sort of cartoon cameo at least. Given that the show will be on Disney's streaming platform, we're going to assume that it might be a little more child-friendly than other large budget shows such as Game of Thrones, Westworld etc. There are those of us that hold out hope for a darker, more mature and gritty adaptation of Star Wars as we've never really had that before, but we'll wait and see what happens.